I read this on the back of a review by Claire at Word for Word. And I loved it. I completely agree with you – the contrast of the beauty in the writing with the harshness in some of the content made it all the more heartbreaking. It’s a very affecting book and all the more powerful because of its subtlety – I’m still thinking about it days after finishing it! Oh, I think I’m going to seek this one out and add it to the tbr pile. The only Claudel I’ve read so far is Parfums, his memoir structured around memories evoked by smells. I loved the lyrical style of his prose. Thanks for reviewing this. His prose is really wonderful and the story so powerful – I do recommend it, but it’s bound to affect you strongly! Fab review. I have this and Grey Souls on my shelf – having recently read and enjoyed his memoir Parfums, I must get around to reading them soon. Thanks! I’m even keener to read Grey Souls now, but none of the bookshops I’ve been in recently stock his books – grrrr. It is deep and important, you’re right – it has so much to say, and says it in such beautiful language. I remember reading a lot of praise for this book a few years ago, and I’m glad it lived up to that for you. Life is throwing too many difficult things at me for me to read something like this, but I’m glad that such books are out there, and that others are reading and talking about them. Sometimes I can read things like this, and other times they’re just too painful and I want a cosy murder mystery! But this was such a memorable book and I’m really glad I read it. 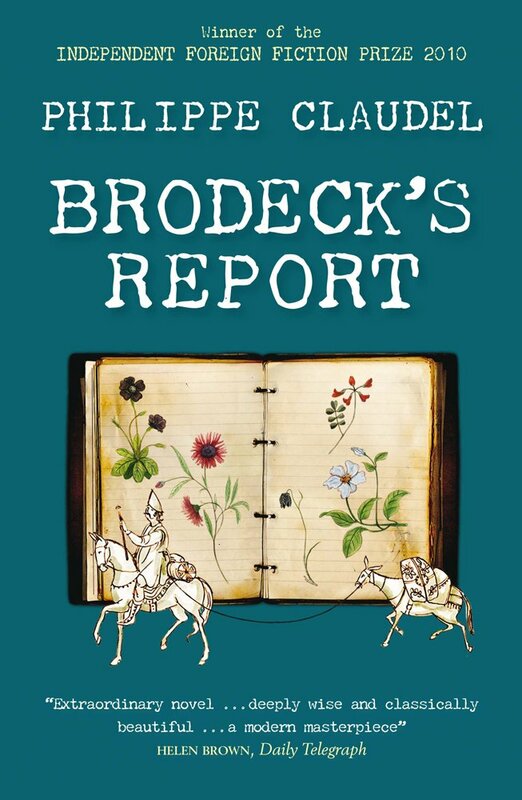 In the United States this novel was just titled ‘Brodeck’. I read it four years ago and thought it was excellent. I’m pleased you thought so too. I wonder why they dropped the “Report”? Interesting. But yes, it’s excellent and I really want to read more Claudel now. I really must read Claudel – I want to very much it’s just… well you know how it goes! Funnily enough I have just read your excellent review after reading Susan’s on his latest book, Perfumes, a sort of memoir of fragrance memories. This sounds like a brilliant read but a harrowing one – a book you need to pick the right moment for to fully appreciate it. But with the right moment it must be amazing. Yes, harrowing is a good word. The suspense while reading it was almost unbearable – it was actually hard to go on at points knowing that bad things would happen. But I’m glad I read it and if you’re in the right mood I would highly recommend it! I really want to read this. I read Grey Souls which had the more romantic title of By A Slow River in the American edition I read. Definitely one for the wishlist. I’ve heard nothing but good about Grey Souls – *definitely* going to read it soon! This is a new author to me, and the book sounds wonderful. You’re a great source for European literature and Russian literature, as always. I *am* very fond of European literature I guess! Claudel is excellent and I definitely want to read more!